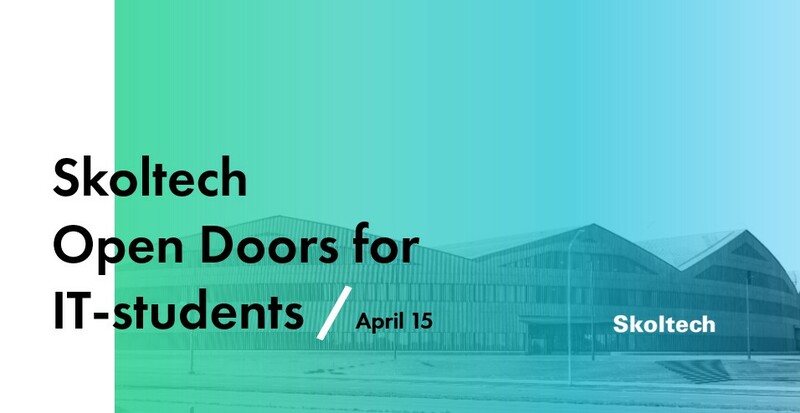 Skoltech invites current students and graduates of IT, mathematical, engineering and technology specializations to visit IT Open Doors on April 15, 2019. The event will start with a presentation about Skoltech and information about the application and selection process (with all related best practices, life-hacks and recommendations). Then representatives of each programs will conduct short presentations about the goals, education process, research projects, major learning outcomes, as well as future career of their graduates. We will answer all of your questions, tour the Skoltech campus, and help all IT Open Doors attendees immerse in its social, educational and research atmosphere and community.